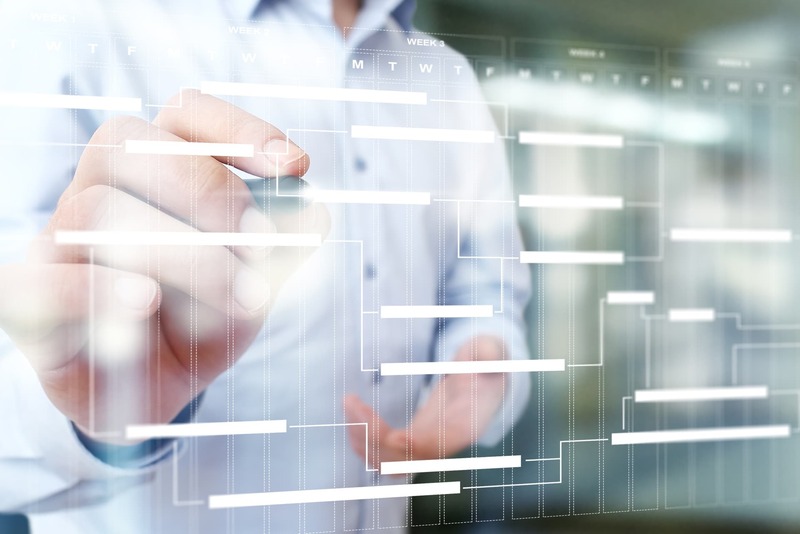 When it comes to project schedules, some timelines are more overly optimistic than others – and that can lead to big issues later on. Those who have a hard time estimating durations that are reasonable could be providing more of a “best case” scenario versus what represents a more practical assessment. It’s a concept called The Planning Fallacy, a concept PMA’s Jeffrey Valdahl and Shannon A. Katt have examined over the years, including in the article “The Planning Fallacy,” published in Cost Engineering magazine. So why does this phenomenon occur and how can project managers develop schedules that are more realistic? First, let’s discuss the planning fallacy concept: A tendency to underestimate how much time is required to complete a task, which, when accumulating over time with other improperly planned tasks, can lead to an unrealistic project schedule. What are the root causes of the planning fallacy? When a group reviews a challenge, does the group learn from that experience? Often, no. It’s more likely that the group maintains an optimism, unknowingly or unconsciously, that a unique external event occurred, and believes there’s really no chance of that failure happening again. What we mean is that a project estimated backward from the forecasted end date on the schedule could have an adverse effect on durations. Rather than a realistic duration associated with each task, the duration gets shortened in order to accommodate the overall schedule. Many other elements can suffer as a result, including scope, cost and quality. There is often a sense by project managers and other team members that nobody understands the project’s timeline better than they themselves do. So, for example, when an outsider to the project is skeptical of the proposed schedule, they might allow their egos to take over, seeing this skepticism as a challenge to their credibility. The unintended consequence of this action is a highly aggressive schedule with numerous shortened durations that the team must now accommodate. At times, the most dominant voice in the room for planning discussions belongs to a high-level person who has little interest in obtaining input on the project schedule from a variety of team members. This individual will rarely consider all elements of the schedule and will be primarily locked on a particular date or goal that must be reached at all costs – unfortunately, that person might lack of attention to detail and have too optimistic of a view of the schedule. The schedule will typically be better served with a more practical and unbiased outlook if external data from similar projects is included. How do those past projects’ timelines and outcomes compare to the current project’s schedule? Relying solely on the perspectives of the project’s current participants can be too insulating. Remove this variable and use comparable projects as a true source of validation. We often hear about post-mortem meetings, in which the team reviews a completed project to dissect what went wrong and what could have been improved upon. While there is still a place for that discussion to occur, consider moving that conversation to the beginning. Start by envisioning an outcome where the project has derailed or completed beyond the timeline projected. What went wrong? Were there certain elements the team had been too optimistic about delivering on a particular date? Were there elements that were outside of the team’s direct control that no one accounted for? The point of this type of meeting is to get the entire team thinking about the hidden risks in the project schedule, and making the proper adjustments in the schedule now to allow for situations where these variables may present themselves. The fact of the matter is that, try as one might, it’s very hard for a team to create a project schedule in a vacuum without the benefit of an outside perspective. So, in addition to the use of external data from similar projects, we also suggest utilizing a third party to facilitate planning sessions. We call this the “Coach’s Challenge,” to borrow a concept from the National Football League. Much like how a coach will throw a challenge flag onto the field when they disagree with a referee’s call, the third party facilitator can throw a challenge toward any decision made by the group that doesn’t make sense or carries an unnecessary level of risk that hasn’t been thoroughly discussed. Whether the resolution of the challenge is to stay the course or to revise accordingly based on the facilitator’s thinking, the point is that the Coach’s Challenge slows the process down in a constructive manner at a key point in time. It allows the team to focus on how it arrived at its decision and if it has sufficiently factored in areas of risk that could influence the schedule. It’s always the hope that data helps people avoid risk. Generally speaking, with risk analysis, the more data at one’s fingertips, the better the analysis can be. One of the best tools is NetRisk™, a module for NetPoint®, which allows one to perform qualitative and quantitative risk analysis. The system provides an inherent integration with the planning process, enhanced schedule modeling capabilities, and cost functionality. NetRisk™ provides a strategy for identifying and controlling project or program risk, and allows professionals to bring risk management into the future of project planning. Discover how NetRisk™ can get and keep your next project aligned with a realistic schedule every step of the way by receiving a demo today.